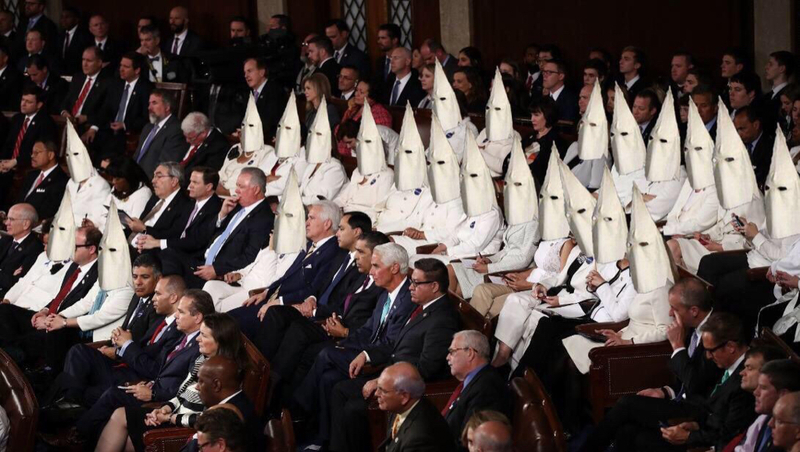 That was my first thought when I saw them all in white. I loved it when Trump got them all to stand and cheer and chant USA USA before they realized what they were doing. They got excited over facts which is amazing. When was the last time she kept her yapper shut that long? If you can’t fix it with a hammer, it must be electrical. The state of the Union would be a whole lot better with a wall built. How about a wall in the capital building separating the Congress between those who believe in individual freedoms and those who believe government makes everything better? I like it, maybe a cage ? Adjusting your TV, to enhance your state of the union viewing .